There is a gash floating over the sun’s atmosphere… Although coronal holes are common and appear every few weeks at the surface of the sun, this one is uncommonly long – 700,000 km – and narrow. 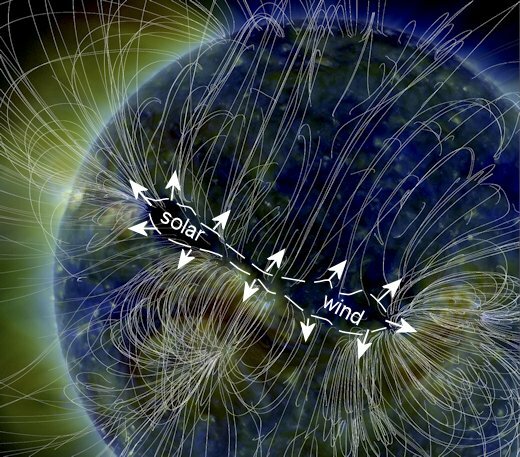 A fan-shaped spray of gaseous material flowing from the gash could reach our planet as early as Dec. 23rd. Arctic sky watchers should be alert for auroras when the solar wind arrives.